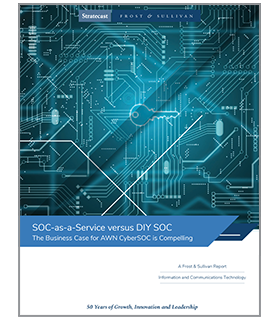 Frost & Sullivan Makes the Case for Arctic Wolf’s SOC-as-a-Service over DIY? The right people, processes, and technology. Those are the components of a security operations center (SOC), and they’re what every company needs to monitor, detect, and respond to today’s cyberthreats. The problem? Unless you’re among the Fortune 500, a SOC can be expensive to build and extremely difficult to manage. Download Frost & Sullivan’s report now!